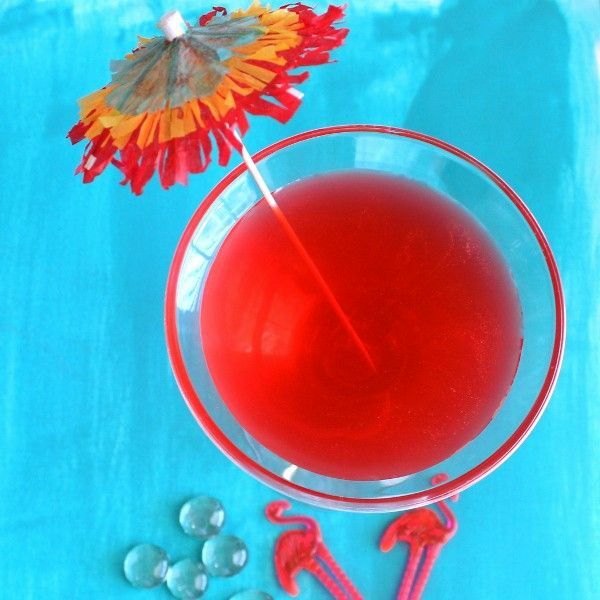 The Flamingo Cocktail is a reddish pink drink that cries out for an umbrella and any other kitschy cocktail accessories you have on hand. It tastes like citrus and berry with an underlying sweetness. This is one of those rare drinks that makes good use of apricot brandy’s cloying sweetness. Here, it just rounds out the other flavors and balances the lime and the citrus, herbal notes from the gin. It’s a perfect drink for the poolside, or whenever you’re wishing you could be by a pool. Fill a cocktail shaker with ice and pour in all ingredients. Shake until chilled, and strain into a cocktail glass.